Vitamin D helps us control the amount of calcium and phosphates are in our bodies. Both of these are required to ensure we have healthy bones, teeth and muscles. The body creates most of its vitamin D from direct sunlight. On sunny days from around April to the end of September, exposing the skin to the sun can provide a daily dose of vitamin at sensible levels. Additionally, we are able to get small levels of vitamin D from a handful of foods including oily fish, red meats, liver and egg yolks. It will also be present in some fortified foods such as breakfast cereals and fat spreads. How important is Vitamin D for your health? Calcium is vital for helping you maintain the strength and health of your bones. Your body does not create calcium therefore you have to consume it in your diet. Vitamin D is essential in enabling you to absorb calcium from your food. 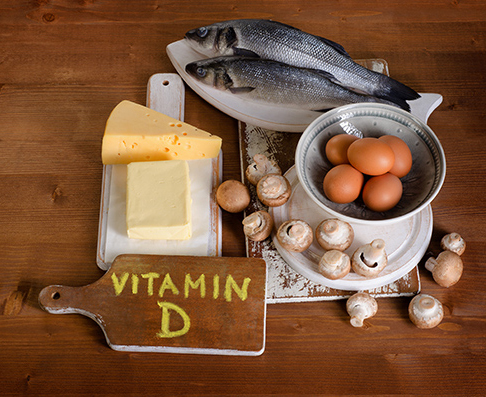 When your Vitamin D levels are low, you absorb less calcium from your diet. This will result in your bones not getting enough calcium that they depend upon. Why could you not be getting enough Vitamin D? UK sunlight is weak during the period October to April and during the rest of the year its only strong enough to produce Vitamin D production for around 4 hours between 11-00 am and 3.00pm. Our indoor lifestyle leads to a consequent lack of exposure to natural sunlight which can then lead to insufficiency. Inadequate dietary intake leads to Vitamin D deficiency and therefore it is important that a diet including oily fish, eggs, fortified cereals, liver, red meats and fat spreads is important. Pollution such as carbon particles in the air created by fossil fuels, burning wood and other materials can disrupt the UV rays before they are absorbed into the skin for Vitamin D production. Vitamin D is one of the most important nutrients required for our overall health, so how does Vitamin D work? The Sunshine Vitamin and how important it is. Vitamin D is a Pro-Hormone (Though not hormones themselves, prohormones amplify the effects of existing hormones), which the body produces naturally by synthesising ultraviolet light from the sun. It is required to make the body use calcium for stronger bones and teeth, therefore when it is deficient within the body it can be the cause of rickets in children and osteoporosis in adults. 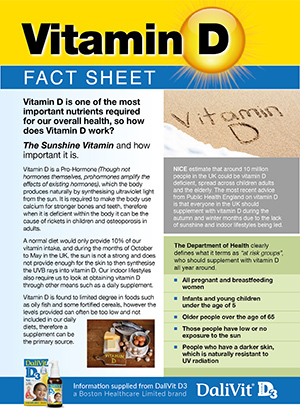 A normal diet would only provide 10% of our vitamin intake, and during the months of October to May in the UK, the sun is not a strong and does not provide enough for the skin to then synthesise the UVB rays into vitamin D. Our indoor lifestyles also require us to look at obtaining vitamin D through other means such as a daily supplement. Vitamin D is found to limited degree in foods such as oily fish and some fortified cereals, however the levels provided can often be too low and not included in our daily diets, therefore a supplement can be the primary source. NICE estimate that around 10 million people in the UK could be vitamin D deficient, spread across children adults and the elderly. The most recent advice from Public Health England on vitamin D is that everyone in the UK should supplement with vitamin D during the autumn and winter months due to the lack of sunshine and indoor lifestyles being led. The Department of Health clearly defines what it terms as “at risk groups”, who should supplement with vitamin D all year around. On average 20% of teenagers and adults have a vitamin D intake that is equivalent to a deficiency of 25nmol/L (tests report results in nanomoles (nmol) per litre), 40% of those in care homes etc. have vitamin D intake equivalent to deficiency and during the winter months 35% of teenagers and adults have a plasma concentration level equivalent to deficiency. Available on the market are easy to use home testing kits, using a painless finger-prick test, which is sent to laboratory to be tested, with results taking up to 5 days. What do we mean by enough vitamin D? It is well accepted that vitamin D plays an important and vital role in maintaining a healthy lifestyle and in support of the body. Vitamin D is a well-known and recognised contributor to an effective and robust immune system. 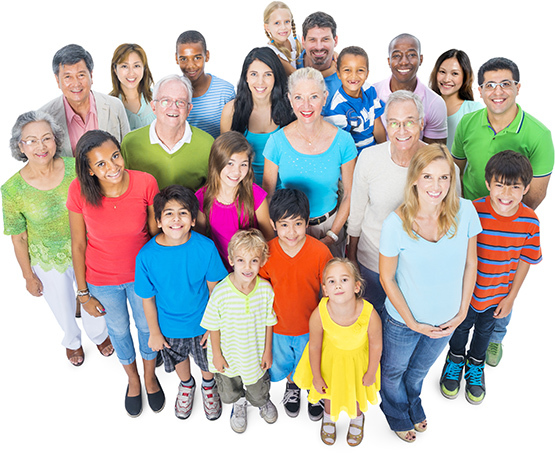 Our immune system acts to protect us, not only from coughs and colds, but from host of other diseases known as autoimmune, or comorbid diseases (existing simultaneously with and usually independently of another medical condition), which include MS, diabetes, and a growing number of internal cancers including breast cancer. When a serum level of 50nmol/l is present in the body it is known to offer resistance to rickets in children and bone related diseases in adults. Ongoing studies being carried out at Sandwell and West Birmingham NHS Trust has found that an average adult will require between 2000 – 3000iu daily in order to maintain a healthy serum level. Studies have shown that an oral dosage can result in optimal levels being achieved within 10 weeks of administration. It is important to understand the need to maintain a healthy level of vitamin D in the body, which by diet alone and sunshine is not enough, therefore using an oral supplement, whether it be tablets capsules, liquids or sprays is recommended for the at risk groups.